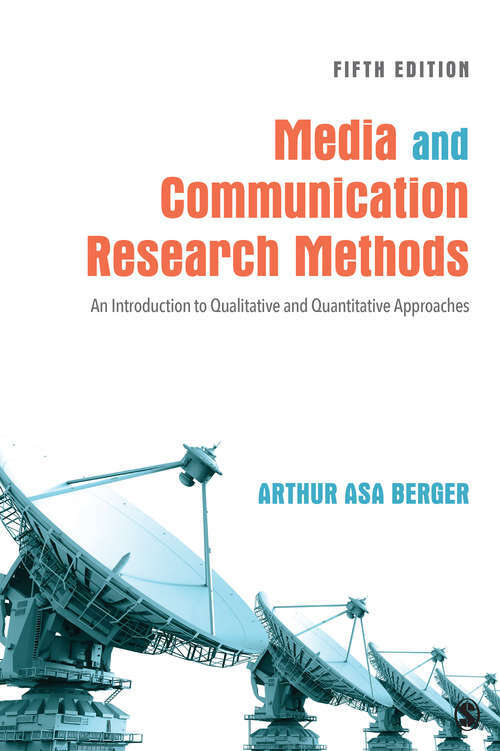 This step-by-step introduction to conducting media and communication research offers practical insights along with Arthur Asa Berger’s signature lighthearted style to make discussion of qualitative and quantitative methods easy to comprehend. The Fifth Edition of Media and Communication Research Methods includes a new chapter on discourse analysis; expanded discussion of social media, including discussion of the ethics of Facebook experiments; and expanded coverage of the research process with new discussion of search strategies and best practices for analyzing research articles. Ideal for research students at both the graduate and undergraduate level, this proven book is clear, concise, and accompanied by just the right number of detailed examples, useful applications, and valuable exercises to help students to understand, and master, media and communication research.